There the form stood, motionless as the hill beneath. This print was inspired by a passage in Thomas Hardy’s Return of the Native. It describes the lone figure of Eustacia Vye standing silhouetted on a barrow, while in the distance the other villages light bonfires, one by one, all across the heath. This project was my first foray into linoleum printmaking, and it enabled me to play around with different color combinations as a way of conveying different atmospheres. 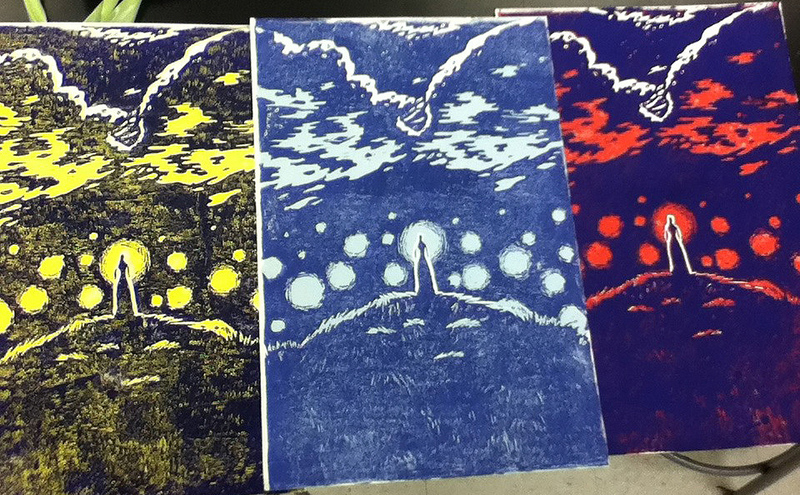 3-color linocut print on paper, edition of 23. 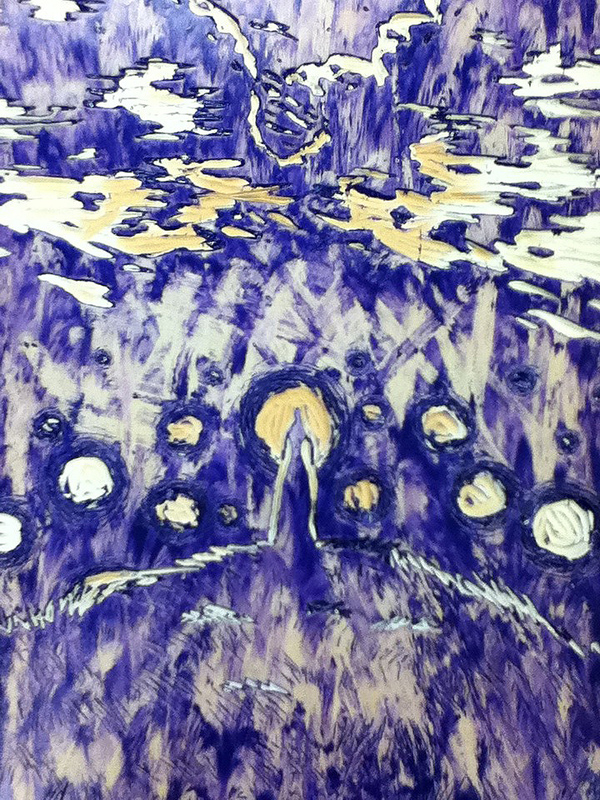 Ink on the linoleum block, in cutting stage 2 of 3. 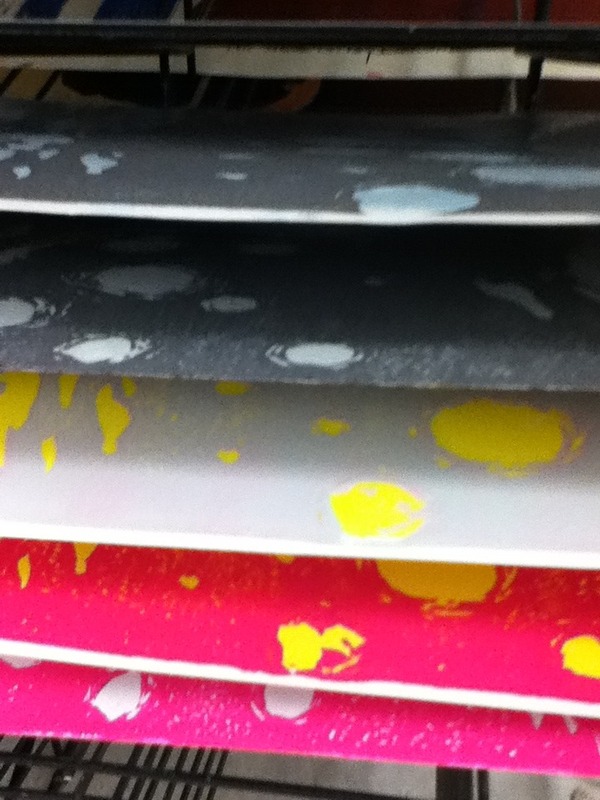 Different color palettes on the drying rack. An impromptu triptych of color combinations.